The discovery of shale gas in the United States has been a revolution. We will therefore develop the shale industry in Britain. Theresa May today launched the Conservative party manifesto, eager to differentiate her party from the Liberal Democrats that are making a land-grab for the anti-Brexit centre, and a Labour party swinging leftwards and away (or possibly slightly towards) Europe. But among the Conservatives' vague anti-immigration promises and plans to tie social care to the value of an individual's estate was a stark fact - the Tories are now the only major party in the UK that does not oppose fracking. Both Labour and the Liberal Democrats promised to ban or oppose the practice in this general election campaign. Labour's manifesto promised an outright ban, and said the party was against fracking because "it would lock us into an energy infrastructure based on fossil fuels, long after the point in 2030 when the Committee on Climate Change says gas in the UK must sharply decline." The Liberal Democrats' manifesto said the party opposes fracking "because of its adverse impact on climate change, the energy mix, and the local environment." But the Conservatives maintained that there is a role for the fledgling industry. The manifesto said: "The discovery of shale gas in the United States has been a revolution." "We will therefore develop the shale industry in Britain. We will only be able to do so if we maintain public confidence in the process, if we uphold our rigorous environmental protections, and if we ensure the proceeds of the wealth generated by shale energy are shared with the communities affected." It is a stark departure from the last general election, just over two years ago, when all three parties supported fracking so long as it was sufficiently regulated. During that election only the Green party promised an outright ban, as it has done so again this time round. "We will continue to support the industry and build on the unprecedented support already provided to the oil and gas sector. While there are very significant reserves still in the North Sea, it is expected to be the first major oil and gas basin in the world to decommission fully, and we will take advantage of that to support the development of a world-leading decommissioning industry." "We will set up a new Shale Environmental Regulator, which will assume the relevant functions of the Health and Safety Executive, the Environment Agency and the Department for Business, Energy and Industrial Strategy. This will provide clear governance and accountability, become a source of expertise, and allow decisions to be made fairly but swiftly. "Finally, we will change the proposed Shale Wealth Fund so a greater percentage of the tax revenues from shale gas directly benefit the communities that host the extraction sites. Where communities decide that it is right for them, we will allow payments to be made directly to local people themselves. A significant share of the remaining tax revenues will be invested for the benefit of the country at large." Like Labour and the Liberal Democrats, the Conservative manifesto also pledged to continue to take action on climate change. Labour's manifesto promised to put the UK "back on track" to meeting its climate goals. It listed climate change among other major challenges any government must address such as global terrorism and the threat of nuclear war. The Liberal Democrats likewise said the government has "a duty to future generations to protect our environment and tackle climate change". It promised to fight a hard Brexit, and maintain the EU's "high standards" when it came to regulations that aim to tackle climate change. "The United Kingdom will lead the world in environmental protection. As Conservatives, we are committed to leaving the environment in better condition than we inherited it. That is why we will continue to take a lead in global action against climate change, as the government demonstrated by ratifying the Paris Agreement. We were the first country to introduce a Climate Change Act, which Conservatives helped to frame, and we are halfway towards meeting our 2050 goal of reducing emissions by eighty per cent from 1990 levels."
. 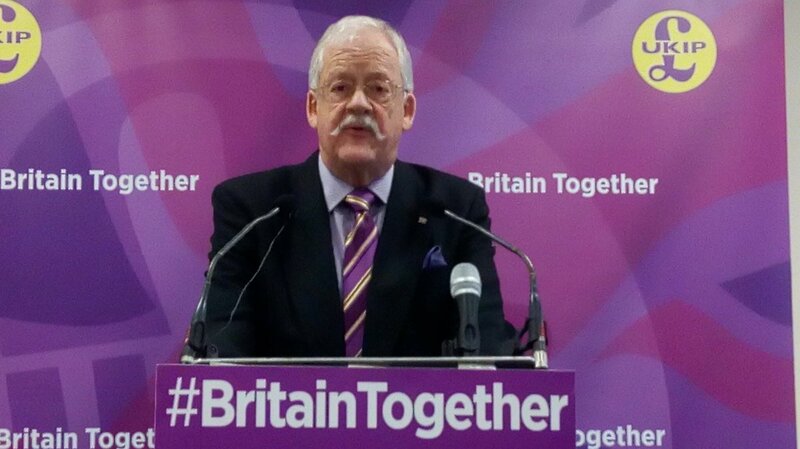 @RogerHelmerMEP "remove VAT from domestic fuel, repeal Climate Change Act, cut subsidies to intermittent energy generation"
Mat Hope is Deputy Editor at DeSmog.uk. He tweets at @matjhope. This article was originally published here on DeSmog.uk. Some additional reporting by The Ecologist.